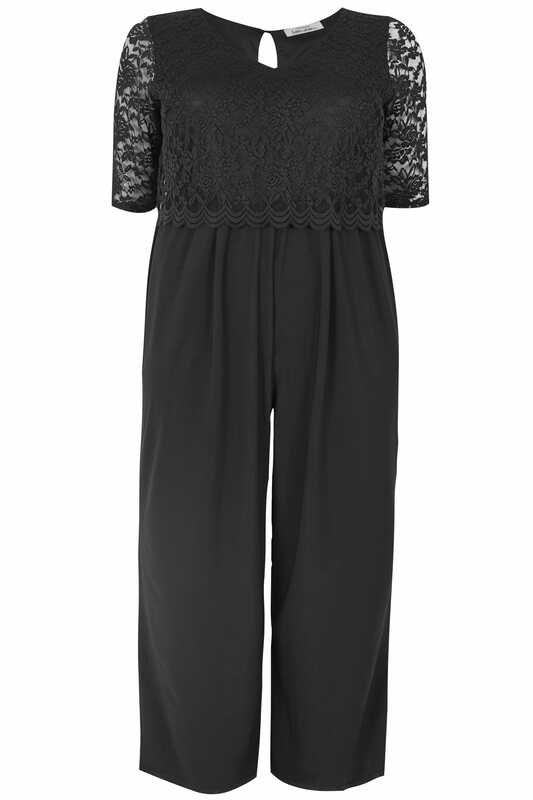 Elevate your evening wardrobe with this chic jumpsuit from Yours London. 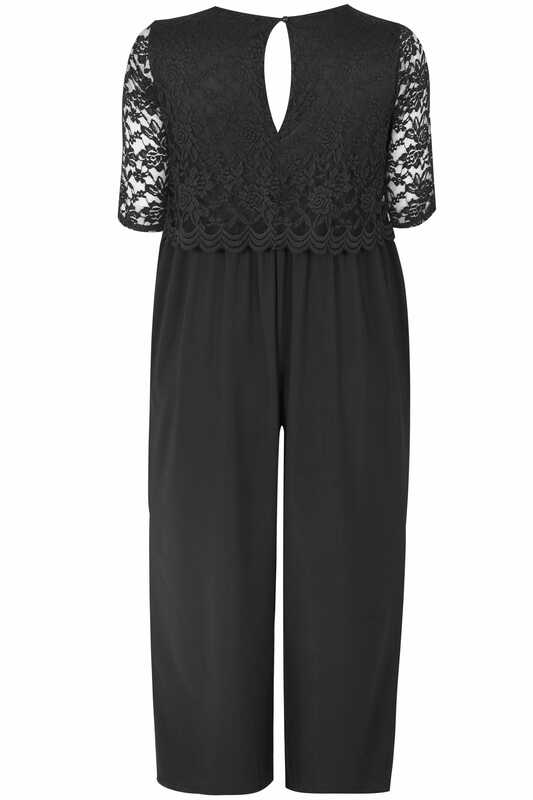 Made from a slinky jersey fabric with an intricate lace overlay, it showcases a v-neckline and 3/4 length sleeves. For after-dark appeal, simply pair with high sandals and a sparkling clutch bag. A timeless wardrobe must-have, it is the perfect option for parties and special occasions.